Kane County Flea Market sellers fill up to 1000 booths with antique, vintage, and new merchandise each month from March through December. The flea market is located in charming St. Charles, Illinois -- just an hour from Chicago. 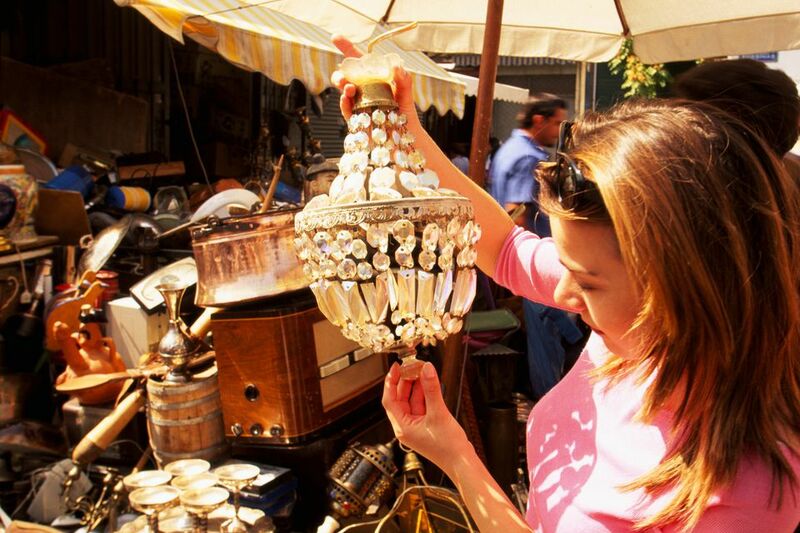 Watch for special event markets, such as the toy show and the popular overnight flea market. Take plenty of cash. You'll have more power to haggle -- and not all vendors accept bank and credit cards. You'll find the best selections early in the day. Near the end of the day when the dealers start to pack, you'll get the best bargains -- especially on heavy, bulky items they don't want to load. Concessions are available all day. While you're in the area, browse the galleries and antique shops in St. Charles. Call (630) 377-2252 to reserve vendors booths inside (12-by12-foot space for $130 per weekend), outside (10-by-20-foot space for $120 per weekend), or under a shed (8-by-14-foot space for $110 per weekend). If you don't have a reservation, line up at Gate 2 starting at 9 a.m. on Saturday or 6 a.m. on Sunday to rent a vendor space. The fees are the same as reserved spaces, but you must pay cash. Unreserved spaces are limited and available on a first-come-first-served basis. Seller set-up times start at 8 a.m. on Saturday. You may not sell stolen or counterfeit merchandise at the Kane County Flea Market.